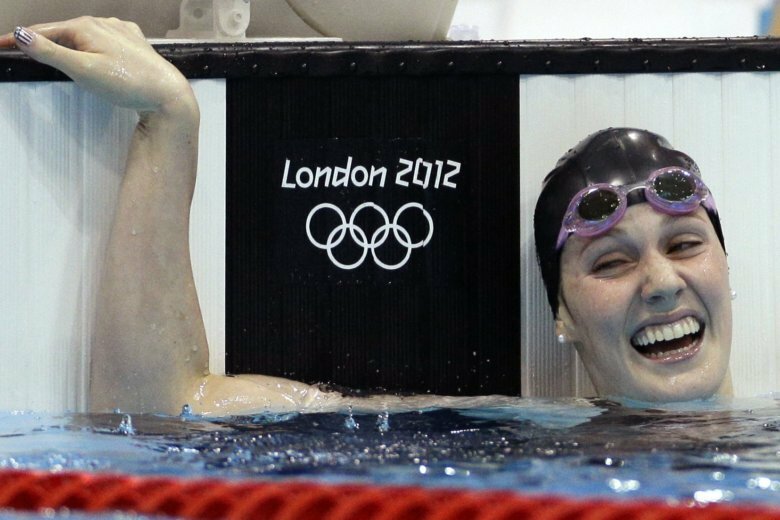 "It took me a long time to say the words, 'I am retiring,'" five-time Olympic champ Missy Franklin wrote in a public letter. "A long, long time. But now I'm ready. I'm ready to not be in pain every day. I'm ready to become a wife, one day a mother." She announced her plans Wednesday in a letter posted on ESPN.com . Franklin’s spokeswoman says the swimmer is with her family in Colorado for the holidays and isn’t commenting further for now. Franklin’s success and bubbly personality made her a darling of the 2012 London Olympics. At age 17, she became the first woman to win four gold medals in a single Olympics in any sport. Franklin is engaged to Hayes Johnson, a former Texas swimmer. She won six golds at the 2013 world championships in Barcelona in what would be her last major success. Instead of turning professional, Franklin chose to attend college at the University of California, Berkeley, and compete for the Golden Bears. She helped them win the 2015 NCAA championship but developed a nagging back injury. Franklin failed to win an individual gold at the 2014 Pan Pacific championships or 2015 world championships. She turned pro before the 2016 Rio de Janeiro Games and returned home to train under Todd Schmitz, with whom she started in the sport. Four months before Rio, she withdrew from a meet with shoulder pain and later revealed she was struggling with depression, anxiety and insomnia. In Rio, Franklin failed to make the finals in either of her two individual events and won her only medal, a gold, by swimming the preliminary heat of the 4×200-meter freestyle relay. She was not one of the four Americans who stood atop the podium after the U.S. won the final. She had surgery on both shoulders in January and February 2017, but the pain never completely subsided. Early this year, she enrolled at Georgia but was never able to regain the form she displayed as a teenager. Franklin’s last competitive race was in the 200 free at the U.S. nationals in July. She finished third in the C final. She is the current world record holder in the 200 backstroke and won 27 career medals in international competition.